This topic is very near and dear to my heart. Food therapy and food medicine are absolutely two of my passions. It’s what I talk to my patients about every single day. There are many foods that actually provide specific benefits for your dog’s health. These are foods that can very easily be added to your dog’s diet, no matter what kind of diet you feed. The nice thing is, no matter where people are when they come to me, and depending on their openness to changing the diet, if they’re not completely ready to move from kibble to raw (which is my ultimate goal), there are some very basic things they can add to the diet that can make a tremendous difference to their dog’s health. ***This article is taken from a talk by Dr Katie Kangas at Raw Roundup 2018. To find out more about Raw Roundup 2019, click here. Food is age old medicine. Modern day, conventional medicine has strayed quite a bit from this in the last century or so, but thankfully it’s making a comeback. Historically, in veterinary school, and even for human physicians, we don’t get much nutritional training at all. Much of the training vets do get is limited and may also be biased. This is why a lot of veterinarians don’t really focus on it. Nutrition really is the foundation of health. It’s the body’s fuel and provides the building blocks for the maintenance of health, tissue repair and energy. That’s why most holistic health practitioners focus a great deal on diet and nutritional supplements. No matter what my patients come to me for, no matter what the concern is, one of the first things we talk about is diet and digestive health. We need to be thinking about food as the most important medicine we take every day. 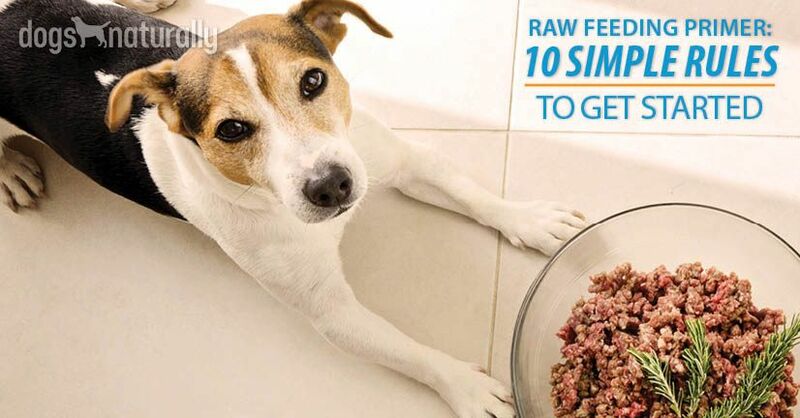 Feeding fresh, wholesome, low processed or unprocessed nutrition is paramount in maintaining your dog’s health. These are some of the foods I recommend for my patients on a daily basis. As a general rule, these are wonderful things that can be added to almost any diet for dogs. Bone broth provides such tremendous benefits for your dog. It’s literally a healing potion. What is bone broth exactly? It’s bones, simmered low for several days with apple cider vinegar. This slowly breaks down of all of these nutrients, making them extremely bioavailable to the body. Improves digestion and helps heal “leaky gut” – All disease starts in the gut (autoimmune, allergies, asthma, chronic inflammation)! Gelatin soothes and repairs the mucosal lining to help seal the gut barrier, which can become damaged and allow toxins into the blood stream. Gelatin assists the breakdown of proteins and fats from food, making them easier to digest. Assists in detoxing the liver – Glycine is a powerful precursor for the production of glutathione, a powerful detoxifier. The liver is such a hard-working organ – it does a lot for the body. It’s most important job is to detoxify those things that our dogs are exposed to that the body has to clear. It flushes out chemicals, hormones and waste. It also provides minerals, acids and electrolytes that boost the detox process. Reduces inflammation – Glycine and proline are powerful anti-inflammatories. Alleviates joint pain – Recent studies show that the components of bone broth can provide relief from joint pain. Strengthens bones, joints, muscles, tendons and ligaments – Glycine is important for building muscle strength. It prevents the breakdown of proteins in muscle tissue and preserves it (which helps prevent atrophy in aging dogs). The collagen contains proline, glucosamine and chondroitin which support cartilage and cushion the joints. Provides minerals and increases their absorption – Bone broth is rich in macro-minerals (calcium and phosphorus) and trace minerals (magnesium and zinc). Bone broth helps with the absorption of these minerals. Boosts the immune system – Gives the body tools to boost antioxidant activity which helps to fight infections. Improves skin health – Collagen builds strong skin and protects the skin from aging. Supports brain function – Glycine is an important neurotransmitter in the brain. Bone broth helps improve cognition and memory and promotes better sleep. You can make your own bone broth or buy it from many specialty pet stores. [RELATED] Want an easy recipe for bone broth? Here it is. There are many health benefits of raw milk. It’s been shown to strengthen the immune system and reduce allergies. Thanks to the probiotics and digestive enzymes it’s great for gut health. It can even help to repair leaky gut and promotes better skin health. In general, I recommend about ¼ cup per day for small dogs, ½ cup per day for medium dogs and ¾ cup per day for large dogs. Start out with smaller amounts and work up to these amounts. No matter what you feed, be it commercial raw, homemade meals or something else, organ meat is a crucial component of the diet. Many commercial diets and home cooks will follow the 80-10-10 rule (meaning 80% muscle meat, 10% bone and 10% organ meats), but I like a bit more than that. Organs and glands are nutrient dense. This includes the liver, kidneys, adrenal glands, pancreas, brain, stomach (tripe) and heart. Liver and other organ meats are strength builders (also known as blood builders). In Traditional Chinese Medicine they’re called blood tonics. And we know that carnivores prioritize the organs – they go for the organs first. **Try to get organ meats from organic, pasture-raised animals. [RELATED] Dana Scott covered organ meats – and why you need to add more – at Raw Roundup 2018. Are you making the common mistake she talked about? Eggs are considered a nutritional powerhouse. They’ve been called the most complete protein and are literally 100% bioavailable. And they’re so easy to add to your dog’s diet. One of the things eggs are most beneficial for is cardiovascular health, so don’t buy into the hype of the last few decades that say eggs aren’t good for your heart! The cholesterol in eggs actually regulates cholesterol in the body. And the brain and liver rely heavily on cholesterol for normal function. They’re also good for eye and skin health. Try to find free range (cage free isn’t the same thing as free range) eggs. They have twice as much omega-3, 3 times more vitamin E, 7 times more beta-carotene, 60% more vitamin A and are 98% less likely to carry salmonella! Raw eggs are fine. For a large dog, an egg a day is good and for smaller dogs go with maybe half an egg. Or, go with every other day – whatever makes you comfortable. For omega-3 oils, I recommend feeding small, oily fish on a regular basis. Sardines and anchovies, as very small fish, haven’t had time to accumulate the toxins found in larger fish. They’re cleaner and offer an amazing source of omega-3s. 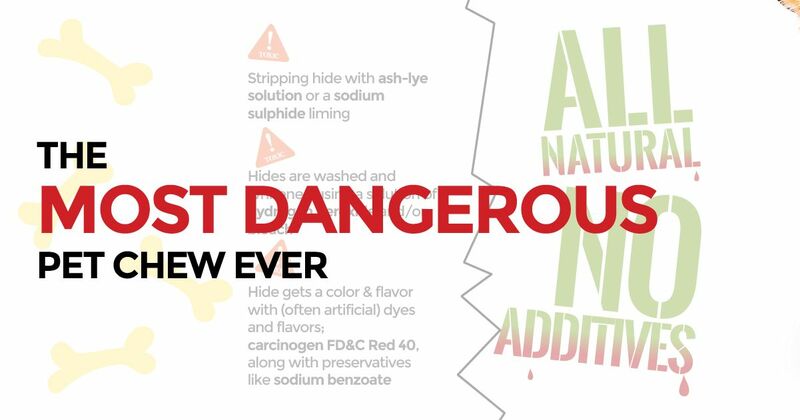 And stay away from farm-raised fish. Oily fish can be rich, so start with smaller amounts first and work your way up. For smaller dogs, you can start with ½ a sardine per day, and for larger dogs work up to as much as a tin every other day. [RELATED] What about regular fish oil? We’re not big fans. Here’s why! One of the other medicinal power foods that I like to recommend for all of my patients is coconut oil. Coconut oil carries a tremendous amount of benefits. It’s a medium chain triglyceride (MCT), a very good fat. It’s thermally stable, so it doesn’t readily oxidize, even with high heat. That makes it great to cook with. One of the reasons kelp is so good for dogs is that it’s full of trace minerals. Our soils are becoming so depleted that they’re mineral deficient, so we need to look for other sources of trace minerals. The ocean is providing these minerals. It’s the lifeblood of the planet. Kelp seaweed absorbs a lot of its nutrients in its fronds/leaves, not from the roots. Compared to plants that grow on land, sea vegetables have 10-20 times more vitamins, minerals and amino acids. It’s also a powerful source of trace minerals and complex phytonutrients. Mushrooms are one of my favorite foods that can be offered on a daily basis. I use them myself every day. Mushrooms contain some of the most unique and potent natural medicines on the planet. They’ve been used in Chinese herbal formulas for centuries because they provide such powerful health benefits. Medicinal mushrooms are packed full of vitamins and nutrients including beta glucans, flavonoids, prebiotics, digestive enzymes and antioxidants. One of the most well-known benefits is the amazing boost to the immune system. 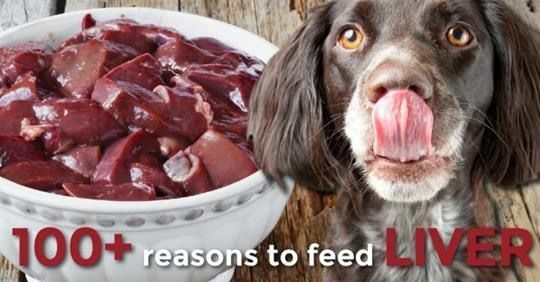 Digestive health and anti-cancer benefits are also good reasons to add them to your dog’s diet. [RELATED] Check out Dr Ihor Basko’s talk on medicinal mushrooms from Raw Roundup 2018 right here. Fermented foods are a fantastic source of beneficial bacteria (probiotics). They usually contain a wider variety than supplemental probiotics with more concentrated numbers of bacteria. They’re also great for supporting immune functions. Fermented foods assist in detoxing the bowel and chelates heavy metals/chemicals, can help heal leaky gut and IBD. To feed fermented foods, work up to 1 tsp per 10lbs of body weight per day. [RELATED] Want to make your own fermented apples? Here’s a great recipe. **Move slowly when adding new items and try not to add too many new things at one time. *** Interested in more presentations like this? Come back for Raw Roundup 2019! To find out more about it, click here.